Steam shower! These seemed to get very ugly and the smell faded very quick between showers. 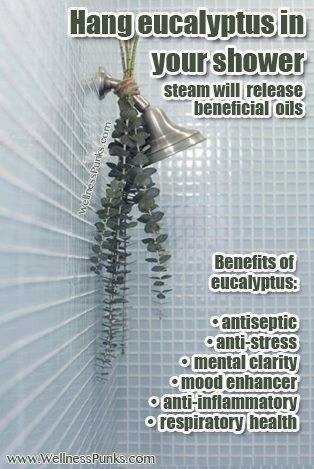 So instead of putting these in your shower, hang them on hooks right next to the shower, both the herb and the smell seem to stick around longer. Plus the herbs look so pretty hanging in the bathroom!